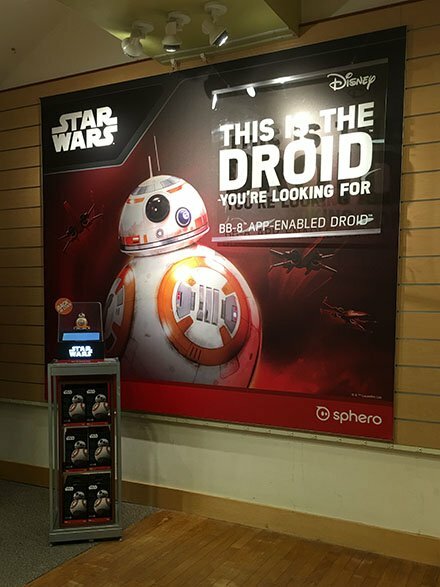 Amazing in-store point-of-purchase presence and branding for this Sphero® Droid at Brookstone® though the video did not live up to potential. Still I was down from outside the store by the signage and display into the Droid department. If I were in the market for a Droid, I certainly would have purchased. So point-of-purchase mission accomplished. CLICK the thumbnail for closeup and gallery for stepped views. 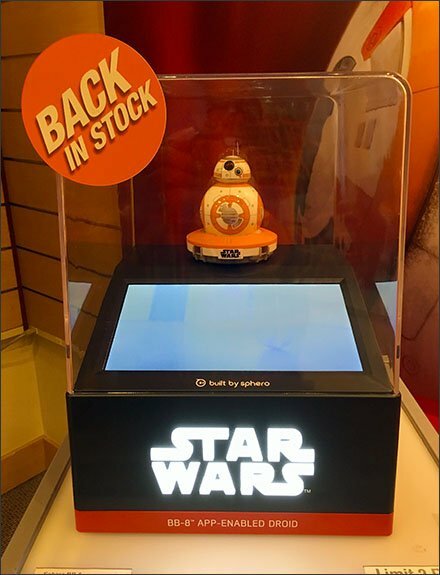 Note the “Back In Stock” splat required since only 6 Droids are stocked in the display tower bottom.